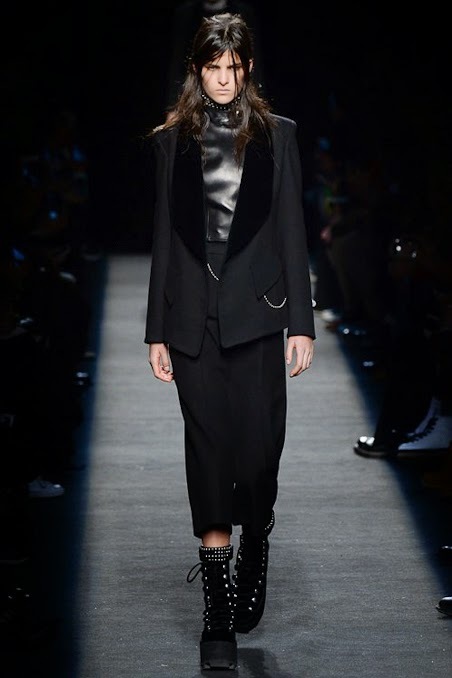 Casting director Anita Bitton pulled out the first major surprise of the New York collections with the stunning international runway debut of Australian newcomer Astrid Holler. 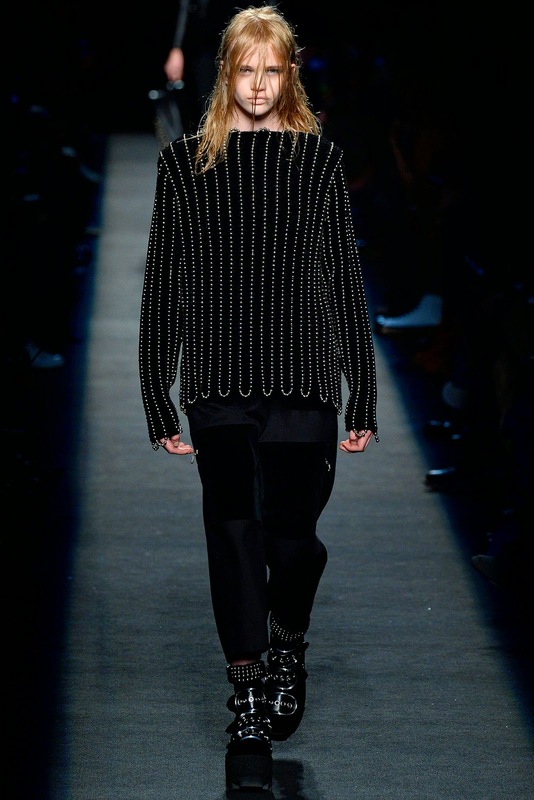 Holler from Sydney's inner suburb of Glebe left all in her wake as she opened as a semi-exclusive for Alexander Wang's Fall/Winter 2015 show. Holler's spectacular 180 cm silhouette and mysterious brooding looks courtesy of her mixed Austrian/Croatian heritage have had eagle-eyed model watchers hailing her as the newcomer to look out for in the weeks ahead. The eighteen year old IMG Model Management beauty has galvanised industry attention in Australia appearing in editorials for Russh, Oyster, Vogue, and Elle, and is a firm favourite of local designers Dion Lee, Alex Perry and Kym Ellery. Also making their New York Fashion Week debut were the compelling trio of Amilna Estevao, Bhumika Arora, and Tiana Tolstoi hailing respectively from Angola, New Delhi, and France. Bitton ensured proceedings were kept super relevant with red hot newcomers Dylan Xue, Laura Julie, Stella Lucia, and Molly Bair. No Alexander Wang cast however would be complete without the presence of a smattering of industry veterans Hanne Gaby Odiele, Catherine McNeil, Behati Prinsloo, Querelle Jansson, and Jamie Bochert seen stomping down the runway supported by models of the moment Anna Ewers, Julia Bergshoeff, Mica Argnaraz, Lexi Boling, Maartje Verhoef, and the return of new model mum Ashleigh Good.